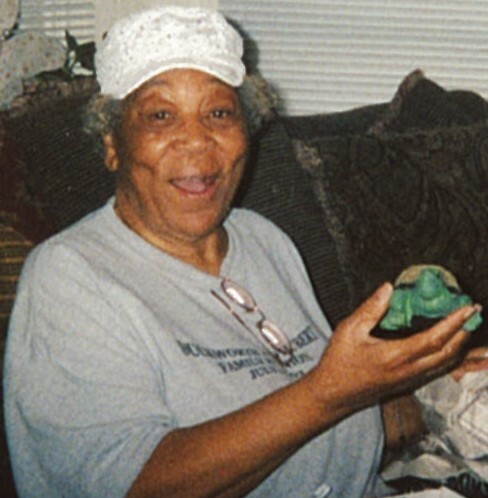 Home going service for Mildred Morgan, 87, originally from Tunica, MS and longtime resident (43 years) of Davenport will be 11:00 a.m. Thursday at Higher Heights Missionary Baptist Church, 4221 North Brady Street, Davenport, Rev. Jimmy Reed officiating. She departed this life on November 21 at her home after a brief illness with her children by her side. Burial will be at Fairmount Cemetery. Visitation will be 10:00 a.m. until service time Thursday at the Church. Orr’s Mortuary is assisting the family with arrangements. She was born on May 13,1931 in Tunica, MS the daughter of Lossie Mae Duckworth. She was preceded in death by her parents, Lossie and Robert Hubert, children, Marjorie, Shirley, Cliffton Clifford, George and Henry. She leaves to cherish her memory children: William Morgan, Virgil (Sharice) Morgan, Stanley (Patty) Morgan, Charles (Kim) Morgan, Eddie (Deborah) Morgan, Michael Morgan and Yvonne (Robert) Morgan. Brothers, Lee, Clarence, Jessie, Willie James and June. Sisters, Roxi, Losie Mae and Desiree. A host of grandchildren, great grandchildren and great great grandchildren.